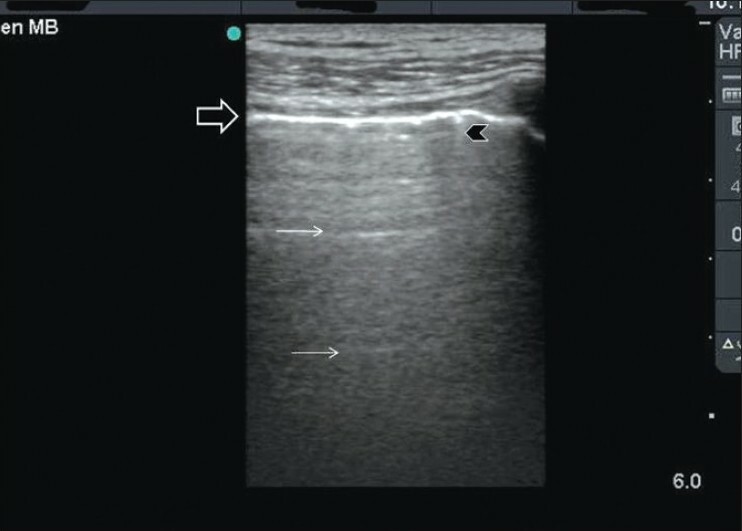 Understanding the basic physics of ultrasound is essential for acute care physicians. 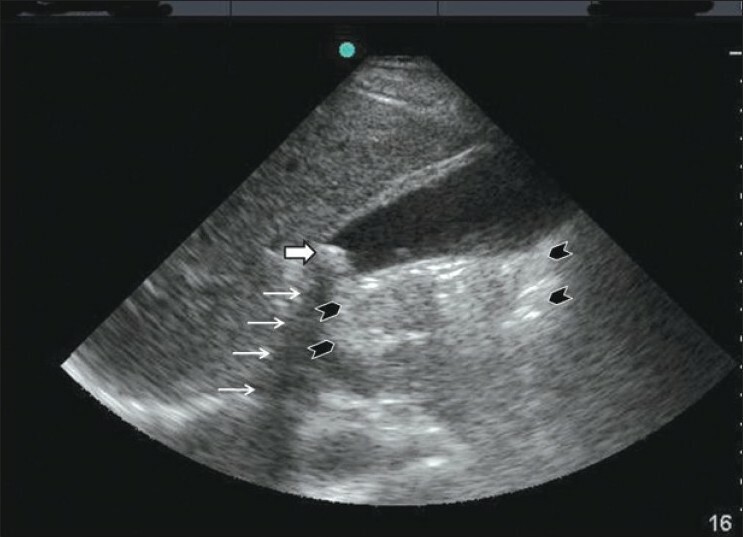 Medical ultrasound machines generate and receive ultrasound waves. Brightness mode (B mode) is the basic mode that is usually used. Ultrasound waves are emitted from piezoelectric crystals of the ultrasound transducer. 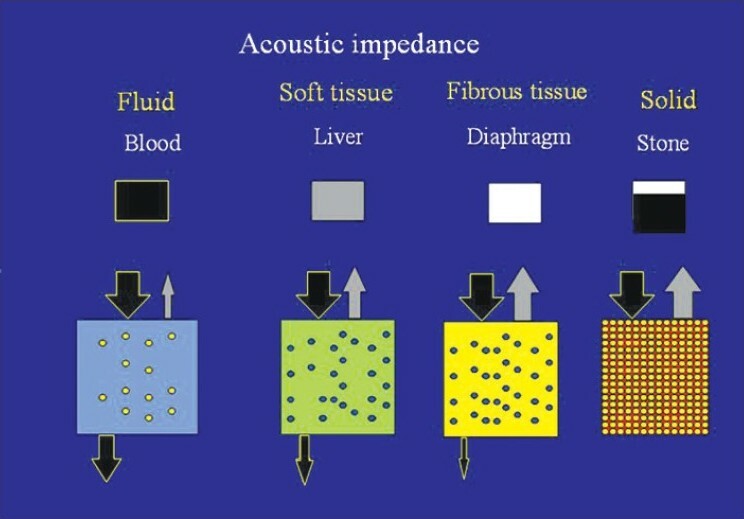 Depending on the acoustic impedance of different materials, which depends on their density, different grades of white and black images are produced. There are different methods that can control the quality of ultrasound waves including timing of ultrasound wave emission, frequency of waves, and size and curvature of the surface of the transducer. The received ultrasound signal can be amplified by increasing the gain. The operator should know sonographic artifacts which may distort the studied structures or even show unreal ones. 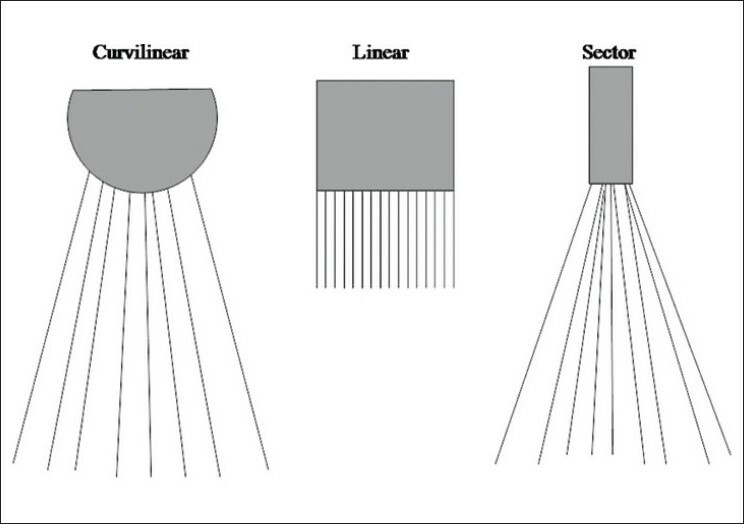 The most common artifacts include shadow and enhancement artifacts, edge artifact, mirror artifact and reverberation artifact. 1. Wells PN. Physics and bioeffects. In: McGahan JP, Goldberg BB, editors. Diagnostic Ultrasound, A logical approach. Philadelphia: Lppincott-Raven Publishers; 1998. p. 1-19. 2. Hangiandreou NJ. AAPM/RSNA physics tutorial for residents. Topics in US: B-mode US: Basic concepts and new technology. Radiographics 2003;23:1019-33. 3. Rose JS. Ultrasound physics and knobology. In: Simon BC, Snoey ER, editors. 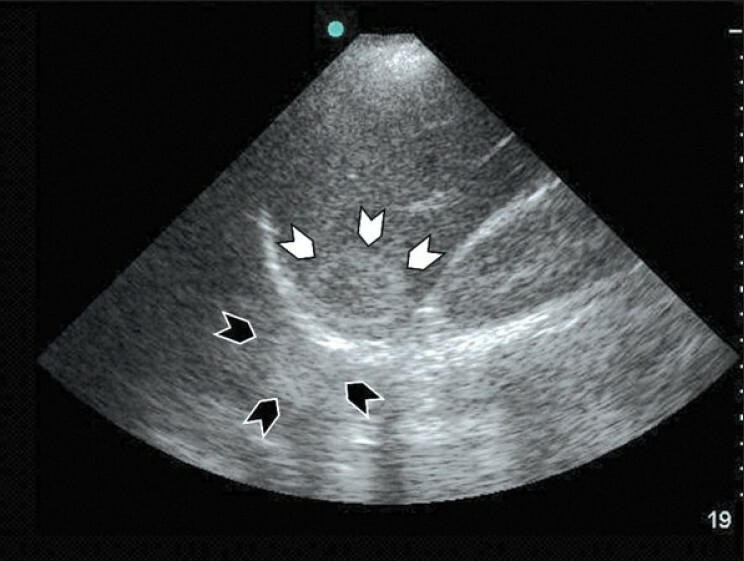 Ultrasound in Emergency and Ambulatory Medicine. St Louis: Mosby-Year book Inc; 1997. p. 10-38. 4. Rose JS, Bair AE. Fundamentals of ultrasound. In: Cosby KS, Kendall JL, editors. Practical guide to Emergency Ultrasound. PA: Lippincott Williams and Wilkins; 2006. p. 27-41. 5. Schuler A. Image artifacts and pitfalls. In: Mathis G, editor. Chest sonography. 2 nd ed. New York: Springer; 2008. p. 175-82. 6. Lichtenstein DA. Basic notions in critical ultrasound. In: Lichtenstein DA, editor. Whole body ultrasonongraphy in the critically ill. New York: Springer; 2010. p. 3-10. 7. Whittingham TA. Medical diagnostic applications and sources. Prog Biophys Mol Biol 2007;93:84-110. 8. Feldman MK, Katyal S, Blackwood MS. US artifacts. Radiographics 2009;29:1179-89. 9. Muglia V, Cooperberg PL. Artifacts. In: McGahan JP, Goldberg BB, editors. Diagnostic Ultrasound, A logical approach. Philadelphia: Lippincott-Raven Publishers; 1998. p. 21-37.